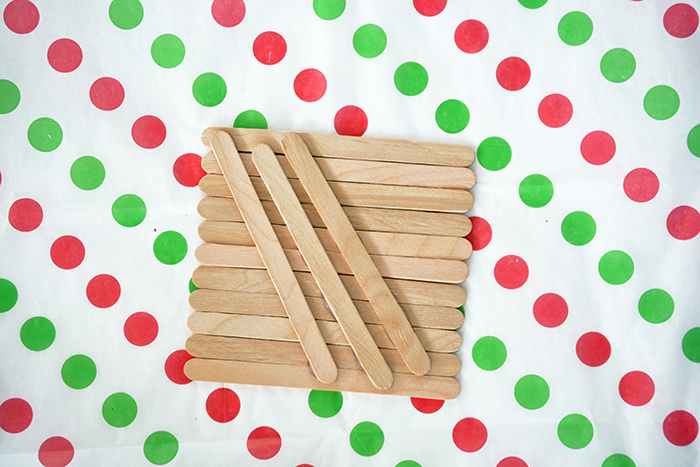 We created a fun and easy popsicle craft this week that’s perfect for preschoolers and toddlers! You can even add some string to this project and the child’s name and date on the back to make this a cute holiday ornament. 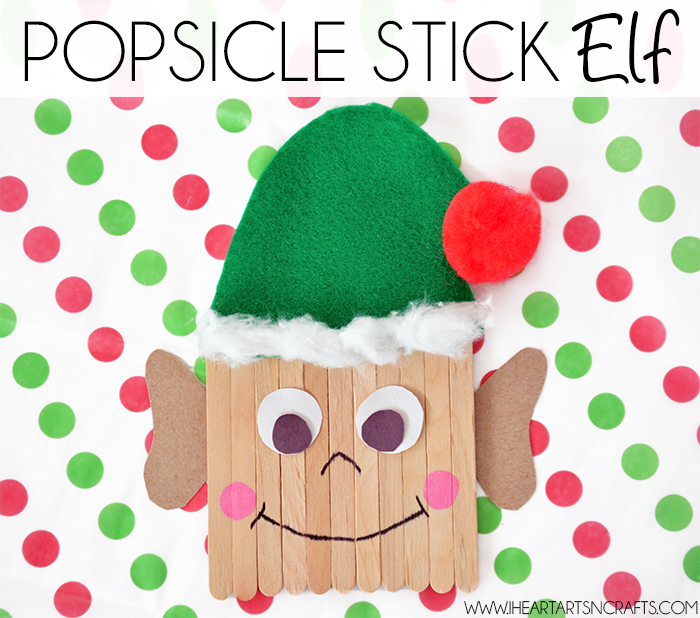 First you’ll glue together the popsicle sticks to create the base for the face of the elf like the picture above. Glue a few popsicle sticks on the back to hold the sticks together. Next, you’ll cut out the hat out of felt and pull apart some cotton balls to glue to the bottom of the hat. You can add a large pom pom ball or jingle bells to the top of the elf hat. Next for the ears we traced them out on a piece of cardboard from a cereal box. 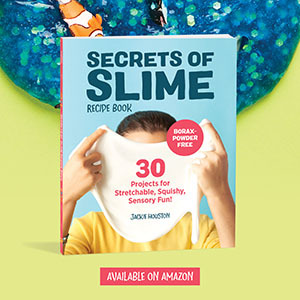 And cut the eyes out of construction paper or glue on some large googly eyes! Next take your black paint and draw on the mouth and nose. We added pink paint for the cheeks using our fingerprints. 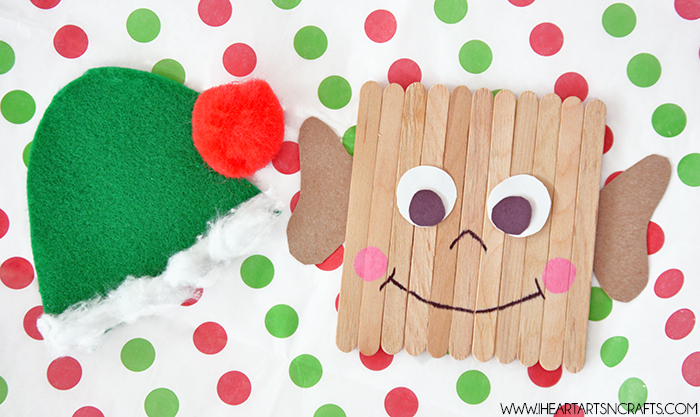 Finally, glue the hat on and you have an adorable popsicle stick elf!